Michael Bryan “Mike” Salinas, 52, passed away on August 21, 2018 after a brief illness. He was born to Casimiro Salinas and Judith Ann Powell Salinas on April 14, 1966 in Weslaco, Texas. Mike was a graduate of Weslaco High School. 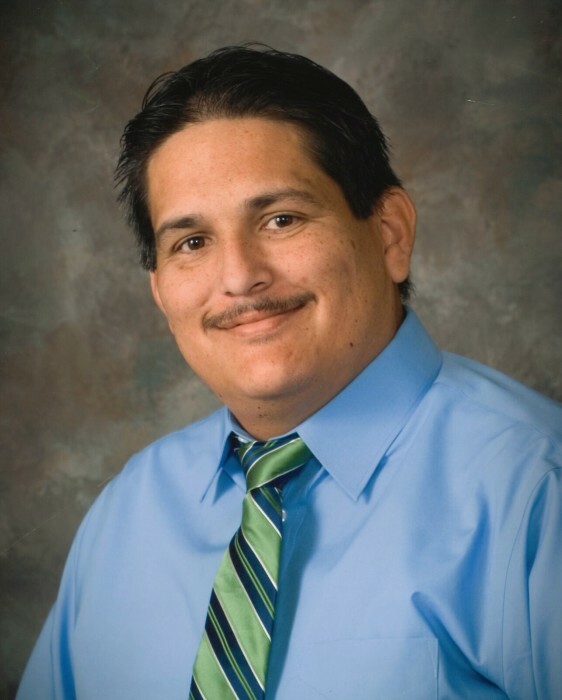 He held a Bachelor of Business Administration degree from the University of Texas at Brownsville and a Master’s degree in Education Administration from Grand Canyon University. He was also a Licensed Paramedic and certified CPR instructor. Mike was employed for 16 years by San Benito CISD as a teacher and administrator. He was also employed as a Paramedic with Willacy County EMS for the last 22 years. In his free time, Mike enjoyed golfing. He was preceded in death by his parents Casimiro and Judith Salinas and sister, Laura Lizette Salinas. Left to treasure Mike’s memory and carry on his legacy are his wife, Aracely Salinas; children, Natalie Salinas, Michael Bryan (Karen Padilla) Salinas, Chelsea Salinas; grandchildren, Charlotte Hernandez, Rhyleigh Hernandez; siblings, Joann Morales, Casey Salinas, and Mark Salinas. The Salinas family will receive friends and relatives on Thursday, August 23, 2018 from 5:00 to 9:00 PM and on Friday, August 24, 2018 from 9:00 AM to 9:00 PM at San Benito Funeral Home. A recitation of the Holy Rosary will take place on Friday beginning at 7:00 PM. A Mass of Christian Burial will be celebrated on Saturday, August 25, 2018 at 11:00 AM at St. Ignatius Catholic Church in El Ranchito, Texas. Mike will be laid to rest at Mont Meta Memorial Park following the funeral mass. Honored to serve as pallbearers are Enrique De Leon, Luis De Leon, Eric Lopez, Jon Gonzalez, Chris Gonzalez, Eddie De Leon, Danny Contreras, Michael Bryan Salinas. Honorary pallbearers will be Gilbert Torres, Salvador Acevedo, Saul Valdez, Marco Salinas, Casey Salinas, Jesse Salinas, Bobby Contreras, and David Morales. Mike’s family wishes to thank the medical staff of Valley Baptist Medical Center-Harlingen. A special thanks to all Paramedics, Willacy County EMS, and Mike’s friends and colleagues at San Benito CISD.